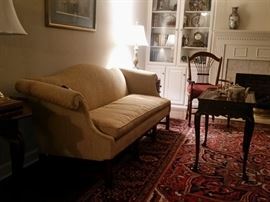 This sale will be at the home of Laura Burnett and her late husband, Dr. William Burnett, in north central Jackson. The large home is filled with a variety of items. 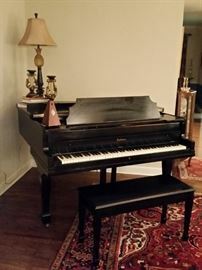 Take a look at the photos to see what is for sale. 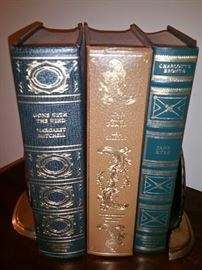 Most photos include descriptions of the items. 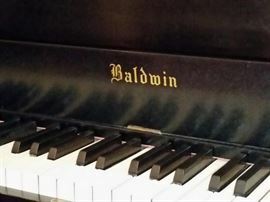 Baldwin baby grand piano . Number on the soundboard is 13889. 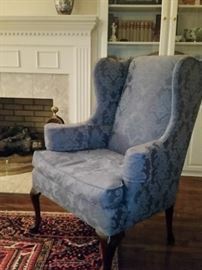 Blue custom upholstered wing back chair. Cushion is down filled. Queen Anne style. Hepplewhite chair. Reproduction of 1800 design. 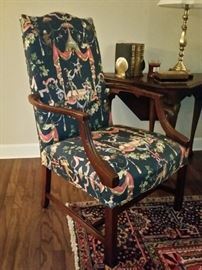 From the Williamsburg Restoration collection. 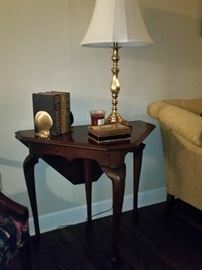 Drop leaf corner/handkerchief table. Reproduction of 1730 English table. Queen Anne style. 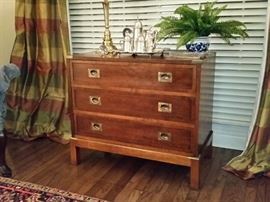 Williamsburg Restoration collection. This is a beautiful mahogany sofa. Chippendale style. 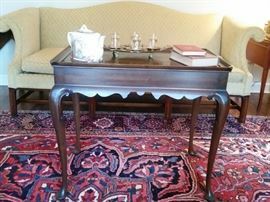 This tea table is a reproduction of the one in Peyton Randolph House, Williamsburg, VA 1735-1750, Queen Ann style. Beautiful mahogany dining table with eight chairs (includes two leaves). Queen Anne style. Solid mahogany sideboard by The Henkel-Harris Co. in Virginia. 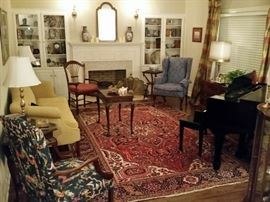 Equally at home it a dining room or hallway. This beautiful Karastan rug measures 8.2' by 11.9'. The pattern is 'Turkish Church'. 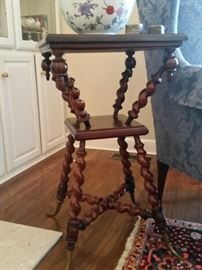 Queen Anne style mahogany low boy with shell motif. Useful in any part of the house.